Schlomo Sand: Debunking Chosen People", "Promised Land". The idea of Jewishness is founded on two inviolate exclusions. The first is that the Jews are the chosen people of their God. That puts them in a class by themselves with presumptive linear genealogies going back to the people of the old testament. The other is of the promised land to which their god led them, then had them thrown out from there due to gross misdemeanour, only to be brought back again after expiation, and once again dispossessed to be brought back in yet another round. The last exile began either in 70 CE or 135 CE at the hands of Romans depending upon which account one trusts, and was ended only with the formation of modern Jewish State of Israel in 1947-48. The “Jewish State” is the key phrase here. The myth has it that return of the Jews to their promised homeland in Palestine was their manifest destiny. This is the story that most of the Jews, and even non – Jews, save except Palestinians believe. Arthur Koestler in his 1976 book, The Thirteenth Tribe, argued that Ashkenazi Jews are not descended from the historical Israelites of antiquity, but from Khazars, a Turkic people. Bulk of the Jews in Israel today are Ashkenazi Jews, who are then obviously not the descendants of the people of the book. And if Turkic people became Jews, then Judaism, contrary to much cherished exclusivity, was a proselytising religion much like Christianity and Islam after it in distant past. The PDF Version of Koestler’s book could be read here. 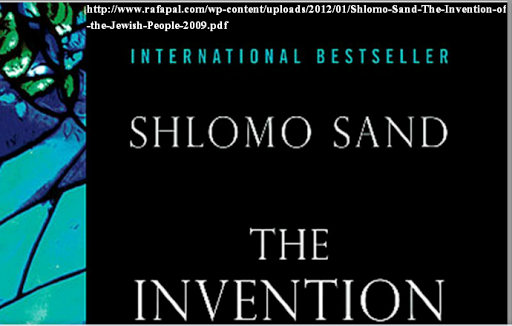 Very recently I came across the work of Historian, Schlomo Sand, at the University of Tel Aviv. His book, The Invention of Jewish People, debunks more thoroughly the notions of “chosen People” returning back to their “promised land” once again after an exile of little less than two millennia. He argues that notion of Jewish People as a secular concept is pure fiction as much as the notions of Christian People or Muslim People are. It is possible to talk of each of these as a religious entity – that is class of people believing or practising a particular faith, but not as a class people sharing common origin, custom, language, or cuisine. That then drives a big hole through the foundation of Jewishness as a defining quality quite apart from Judaism. The PDF version of his book is available for perusal here. Professor Schlomo Sand gave an insightful yet endearing talk in New York, Challenging notions of a Jewish People.